Olympic healthy sports environment is frustrating in Tokyo. for the host city of the Olympics. 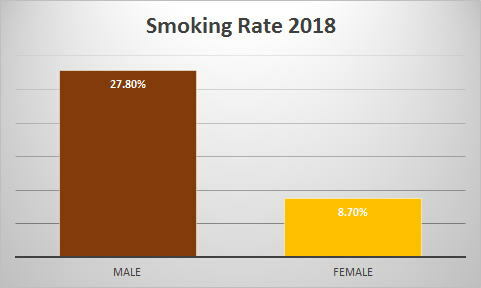 The World's worst anti-smoking measures have announced by Japanese Government in 2018. Smoke-free restaurants and cafe are a prerequisite for 2020 Olympic Games. currently held every two years, with Summer and Winter Olympic Games, alternatively. The 2004 Athens main Olympic stadium. Smoke-free Tokyo was a prerequisite for Olympic 2016.
for the 2016 summer Olympic site. April 2009, written by Junhaku Miyamoto,M.D.,Ph.D. 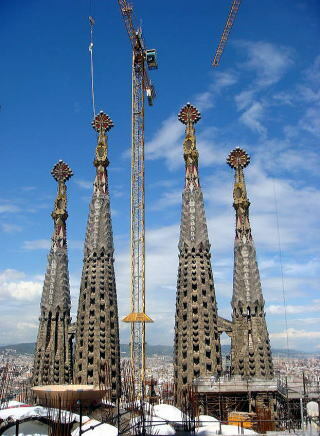 Government of Spain will prohibit smoking at all enclosed spaces in 2011. It was a foolish act to divide a public space into a non-smoking and smoking, incorporated in the law in 2006. Spain completely switched it to a carpet smoking ban in 2011. 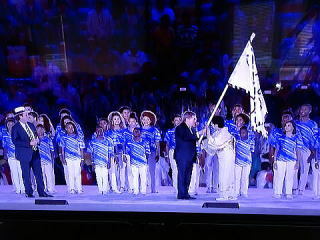 Rio's people celebrate the decision of IOC. host of 2016 summer Olympic Games. for the city, region, and country to deliver their broader long-term aspirations for the future. from abroad. That is the minimum standard to select the country we visit. October 2009, written by Junhaku Miyamoto,M.D.,Ph.D. December 2009, written by Junhaku Miyamoto,M.D.,Ph.D. Tokyo cleared the first hurdle for the candidate of 2020 Summer Games. 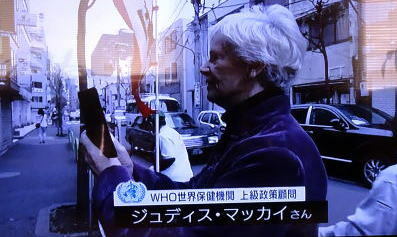 revitalize Japan' s economy, after the devastation of the 2011 -earthquake and tsunami. in 1972, and at Nagano, in 1998. 87.1% of people, and Madrid at the level of 75.3 %. Tokyo is not as the super candidate for the 2020 summer Olympic. sold by Japan Tobacco Inc. This tobacco shop, once provided a free indoor smoking space, has closed in 2017.
in North America, Europe and Oceania, Japan has no rule for smoking in indoor facilities. in which smoking is permitted inside, before they select a food menu. 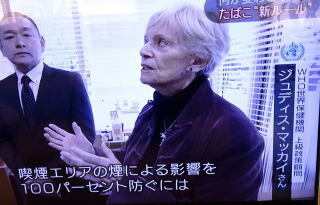 Japanese government has no plan to establish a total smoking ban in a food industry. car with smoking facility is a superior service to passengers. 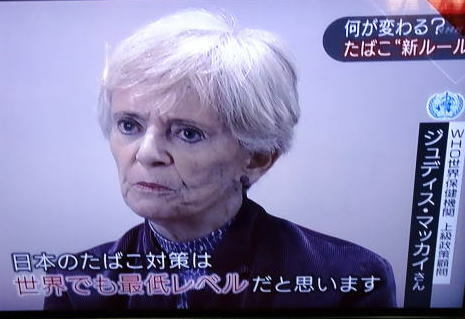 are critical health and moral problems for Japan as a host country for the Olympic Games. 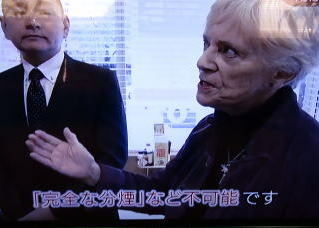 to protect not only the athletes but also all the guests who will visit to Japan. 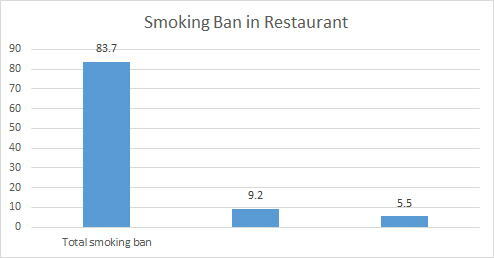 A total smoking ban should be enforced to restaurants, trains and all public indoor places. 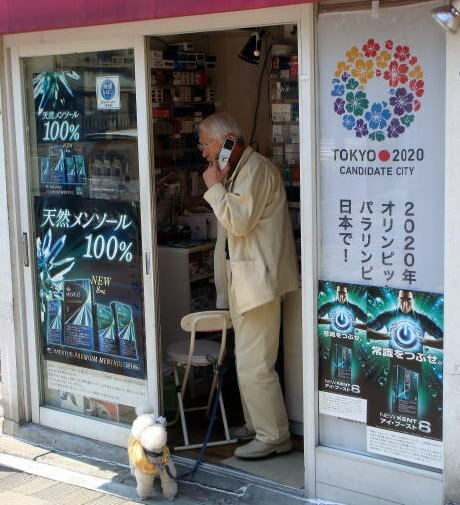 If not, re-examine whether the City of Tokyo is the super candidate for the 2020 Olympic site. May 2012, written by Junhaku Miyamoto,M.D.,Ph.D. including physical activity, sports for all, and tobacco-free Olympic Games. government, establishing a strong legal basis for a separate smoking space in a public space. 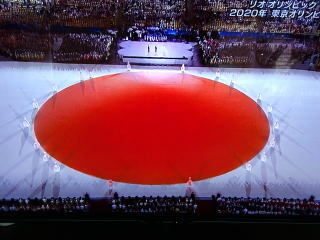 amount of an invitation expense for the 2020 Olympic Games in Tokyo. March 2013, written by Junhaku Miyamoto,M.D.,Ph.D. Tokyo wins bid to host the 2020 Summer Olympics. beat Istanbul 60-36 in the runoff to decide the host city after Madrid was eliminated in the first round. water posed in WHO guidelines, Japanese Prime Minister S. Abe said. to deliver the Games. 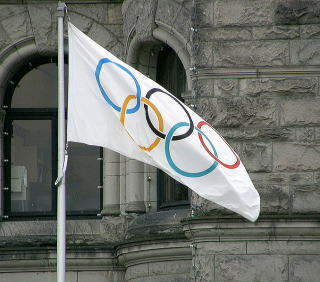 The 2020 Games will take place from July 24 to Aug. 9.
for the 2020 Summer Olympics. 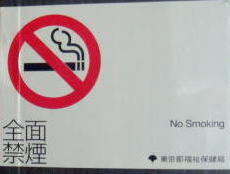 A signboard saying smoking is totally prohibited in the indoor space. the smoking restriction in Tokyo by an act is ambiguous or almost none, causing with a lot of problems. 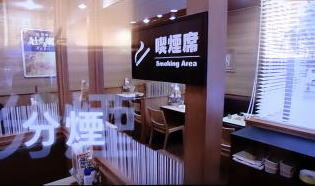 a restaurant in Tokyo, unless it shows ' entirely no-smoking sign' at the entrance of eating places. The smoking-room ratio in the hotel appears to be highest in the worlds, next probably to Macau. In most of major Tokyo hotels, we cannot expect to be completely smoke-free. to be settled by the year of 2020. September 8, 2013, written by Junhaku Miyamoto, M.D.,Ph.D. cafes in Tokyo. 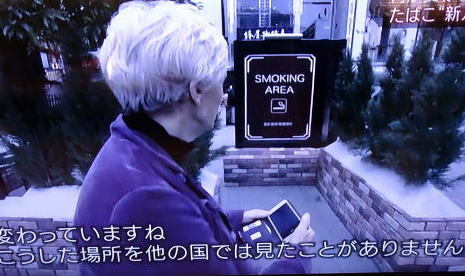 Japan must move faster on a carpet smoking restriction in a public place. operated by three major Japanese railway companies. All sleeper-trains in Japan, except for Seven-Stars by JR-Kyushu, are connecting a smoking vehicle. JR-West and JR-East's new deluxe sleeper-trains provide smoking vehicles, that start operation in 2017. Japan scraps Zaha Hadid plan for Olympic stadium. envisioned as the focal point of the 2020 Tokyo Olympics, amid concern about rising costs and a growing public backlash. Organizers already decided to scale back the original designs, but they will now be scrapped altogether. space. The subsidy rate is 80% of the total construction fee, with the maximum of 3,000,000 yen. for the 2020 Tokyo Olympic. 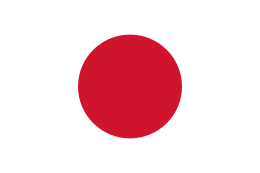 This financial aid started in July 2015.
on Tobacco Control, which Japan ratified in 2004. August, 2015: Junhaku Miyamoto, M.D.,PhD. 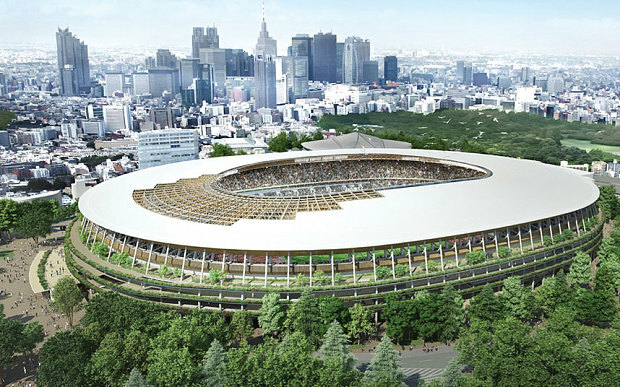 Japan picks new design for Tokyo 2020 Olympic stadium. cost 153 billion yen ($1.26 billion) to design, build and maintain. Rio passes Olympic flag to Tokyo. It was a wet, windy and wild farewell to the 2016 Olympic Games as Rio de Janeiro bowed out in a storm of samba and rain inside the Maracana Stadium. 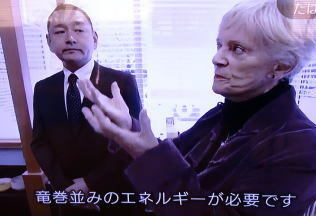 Can she take over the indoor smoking ban that is running in Brazil to the city of Tokyo? 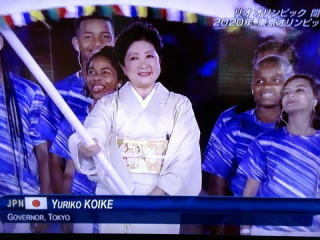 Governor of Tokyo Yuriko Koike accepted the Olympic flag on behalf of the city. Minister of Health, Shiozaki refused a demand by LDP members, in 2017, in which the restriction should be exempted in small food shops. All sleeper-trains, except Seven-Stars, in Japan are connecting a smoking vehicle. 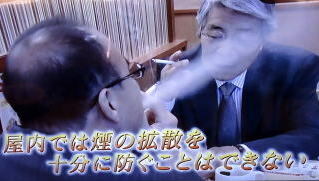 Governor Shigefumi Matsuzawa stressed the need to provide a separate smoking room in public places. on the future indoor clean-air act in Japan. 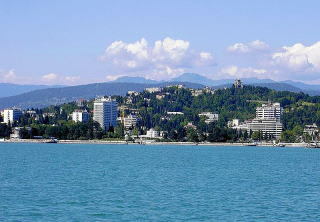 initiated a charter, Sochi Without Tobacco, that has been joined by some 100,000 people, both residents and tourists. the Olympic Games at venues, including bars and restaurants, except for specially designated areas outside the venues. 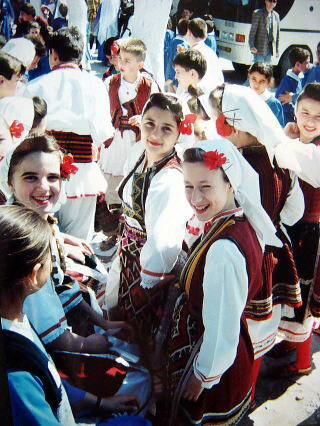 The picture of Barcerona was taken in May 2020, and kusadasi in April 1995, by Junhaku Miyamoto. Russia 2014: On-the-spot actual investigation, including hotels, restaurants and railways. Alaska 2014: On-the-spot actual investigation, including hotels, restaurants and railways. Australia 2014: On-the-spot actual investigation, including hotels, restaurants and railways. Norway 2015: On-the-spot actual investigation, including hotels, restaurants and railways. would reserve and in most restaurants and bars, and the user can put a cigarette at a food-serving shop. a request of LDP members who admit smoking in the restaurant and bars. As a result, the Tobacco Chairperson of LDP was nominated as a Minisiter in demand of Tokyo Olympic Games. a separate smoking booth in a restaurant, was newly appointed as the next Minister of Health. of the competition venue. It eliminates a smoking place within the area of competition ground. the ground outside the competition venue. The Pyeongchang Winter Olympics of 2018 also included the inside of the premises. All the competition venues were smoke-free, but staff and volunteers, and others exceptionally used the smoking area. The organizing committee says, "It will apply to any person, including VIP and others. However, it is said that exceptionally a smoking space is set up only for a long-term stay at an athlete's village. 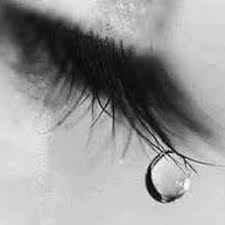 This article was written by Junhaku Miyamoto, M.D.,PhD in April 2008, and finally revised in March 2019.